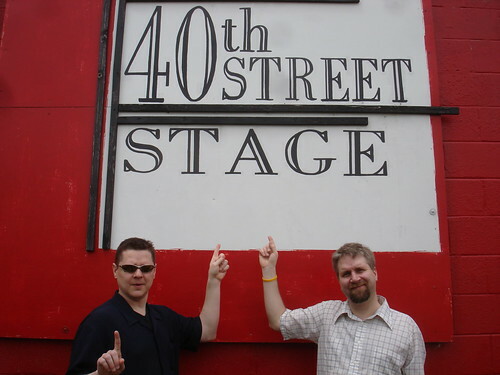 Shaun and I went out to Norfolk, VA this last weekend to do a show at the 40th Street Stage that had been set up by our good friends Matt and Trish Martin. As a bonus, a bunch of family was coincidentally in Williamsburg and we were able to hook up for lunch on Saturday and then my folks came and watched Shaun and I teach a workshop. We also ate a bunch of good food and did some fun old-friends-hanging-out. Wanna see?